The evolving needs of a modern business requires more efficient and cost-effective communication solutions. Landlines, specifically, may no longer be the best tool for business telephony, as voice over IP (VoIP) offers better features for operations. It is essential to explain to customers the advantages of switching to VoIP from analog to help them better understand the benefits of modernizing their telephone systems. 1. VoIP is easy to implement. Your customers don’t need a sophisticated infrastructure to implement VoIP, nor do they need new wires and physical phones. They can use their existing network architecture to create a functional VoIP system. Cloud-based systems do not need to be constantly maintained or upgraded, unlike traditional landline phones. The VoIP provider will do the hosting, maintenance and upgrades on your behalf for your customers. It’s also very easy to set up and configure. 2. VoIP is easy to scale up. VoIP systems, given its protocol-based nature, can offer compatibility with different hardware and software. This means that customers can mix and match hardware as their business needs expand. They can opt for dedicated VoIP wireless phone solutions, or make calls using a web-based software through their computers and headsets. It is cost-effective and can be customized to any sized business, making it possible for smaller clients to scale up their operations quickly as they grow. Small businesses can start small and gradually increase their usage over time, depending on the growth of the business. Cloud services are also self-managed so your clients won’t need to hire an IT person to set up their communication system. Using a VoIP business phone system cuts down communication overhead costs. For example, with VoIP, your customers just pay for high-speed internet and a cloud telephony subscription. They don’t need to pay to get an additional landline phone for their communication system to follow. VoIP is also customizable, where your customers can opt for features like call routing, video call conferencing and mobile device forwarding. Additionally, there are no heavy investments to getting started with Hosted PBX. Customers don’t need to purchase or maintain a cumbersome telephone system for their business. Hosted PBX systems also cost less to maintain in the long run, thereby lowering monthly phone bills, which is even better news for customers looking for a cheaper business phone solution that provides serious ROI. 4. VoIP is easy to integrate with existing systems. Most businesses already have existing IT systems in place, and VoIP can complement that. Since it is internet-based, hosted VoIP systems can be easily integrated with applications like Outlook, Salesforce and more. Your customers can integrate it with their voicemail, which can be accessed in remote locations. There’s even an option for your clients to get voicemail messages transcribed into text form and then emailed to them. It’s very convenient for busy office workers. 5. VoIP supports a range of call features. Some companies refuse to update their telephone systems because they don’t want to lose the calling features they always depend on. The good news is that VoIP systems also support these features. Employees can still hold and transfer calls, have conference calls, or automate calling menus. They can also send virtual facsimiles with their VoIP phone, minus the need to print and feed it to a separate fax machine. 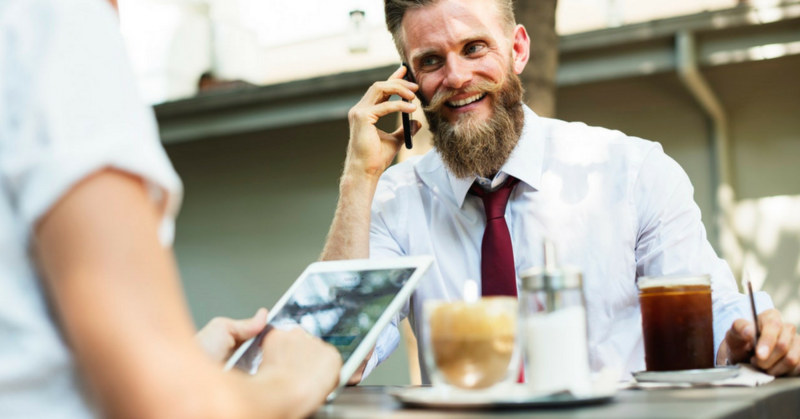 Cloud telephony is also very useful for businesses that often have staff members off-site because calls can be easily diverted regardless of their location, as long as they are connected to the Internet. One clear advantage of VoIP systems, unlike conventional phones, is its portability. Travelling employees can use a VoIP converter, which turns signals from analog phones in their hotels or conference halls into online digital data. Alternatively, they can also use a VoIP adapter, which they can plug into the USB port of their computer to start making and receiving calls. Some customers won’t immediately see the benefits of cloud-based telephone systems. Your task, as a reseller, is to promote its benefits as an ideal solution to their business challenges. Do you have other tips on how to promote VoIP to your customers? Share them in the comments below.